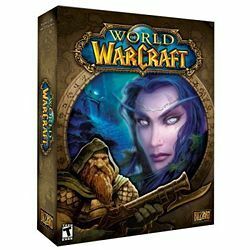 New World of Warcraft expansion pack to get limited UK release? Every time there is a new expansion pack to Blizzard's phenomenally successful World of Warcraft MMO released it is a major event, with concern today the collector's edition of next month's World of Warcraft: Wrath of the Lich King will not be released in the UK. Blizzard Entertainment has been slightly coy about the collector's edition release, nothing that it is only being made available in "select regions". Amazon.com has already sold out of its initial allocation on pre-orders, which gives a good idea of the massive anticipation surrounding this new add-on. Amazon.co.uk seemingly has nothing available, which has fired the rumours that the CE edition is not being made available in the UK. Strange. TechRadar has contacted Blizzard UK for further comment so we will update this story as soon as they get into the office today. World of Warcraft: Wrath of the Lich King is out in the UK on 13 November, priced at around £25.